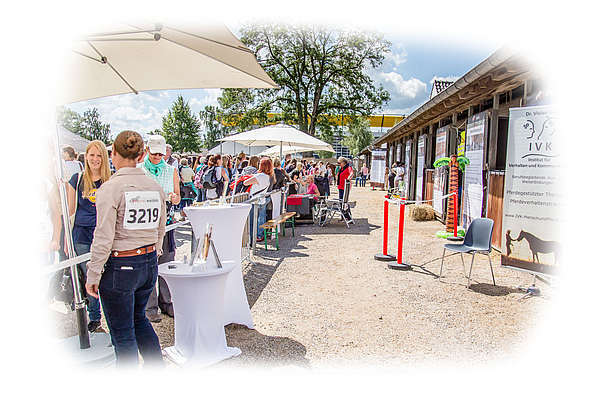 MUSTANG MAKEOVER - the unique pro horse event in Europe will take place at the CHIO Aachen Location from August 23rd - 25th, 2019 for the third time. The aim is not only to draw attention to the situation of the American Mustangs, but also to impart a high degree of knowledge. Look forward to three days of "Pferd total", the Trainer Challenge with 16 Mustangs and 16 trainers from all over Europe and the all-day course program of the MAKEOVER ACADEMY, to which selected trainers are invited to give deep insights into horse training. 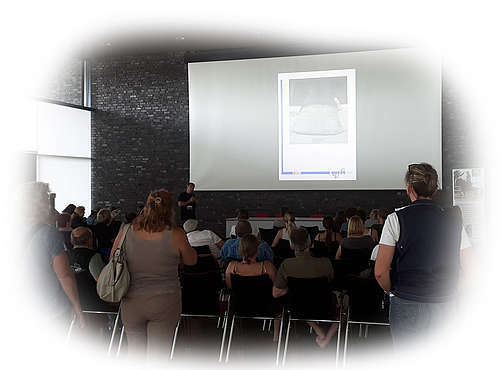 Use the knowledge of the MAKEOVER EXPERTS and visit the speeches of the invited speakers on current topics around horses. While the equestrian sports fair area invites you to shop, you have the chance to experience your favourite trainers up close and feel the very special magic of America's wild horses. In the evening show "Magic Moments" top actors, special moments and breathtaking horses await you. Tickets are available from 5,00 €. Don't miss this emotional event of 2019! The american legend is more threatened than ever. Due to overpopulation, prolonged droughts, dramatic water shortages and political constraints, mustangs are caught from the wild to be rescued and taken to reception stations. There, however, they often wait years for adoption. American Mustang Germany has been committed to the Mustangs since 2017. Through the MUSTANG MAKEOVER many people could be fascinated by these unique horses and europewide attention could be attained. More than 140 Mustangs have already found their home in Europe. The heart of the MUSTANG MAKEOVER is the Trainer Challenge. This year again, 15 top trainers of different riding styles train 15 mustangs for more than 100 days. You can follow their training progress online - check out this website, FACEBOOK, INSTAGRAM and YOUTUBE. At the event, the trainers and their horses will compete in several challenges, judged depending on harmony and partnership. The unique highlight is the breathtaking freestyle finale! The trainer challenge is based on the Extreme Mustang Makeover in the US. 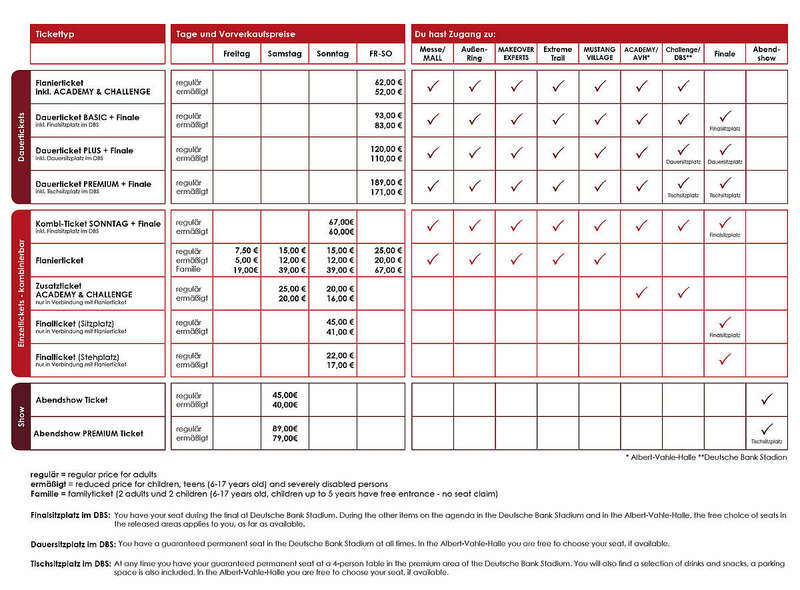 However, the challenge differs greatly from its American original when looking at the evaluation criteria. Unlike common horse shows, the MUSTANG MAKEOVER focuses not on top performance but on the partnership between trainer and horse. We want the trainer and horse teams to be able to train without pressure to perform To us, it is a matter of the heart to establish the MUSTANG MAKEOVER as a pro horse event true to the motto: We make the invisible bond between horse and rider visible! 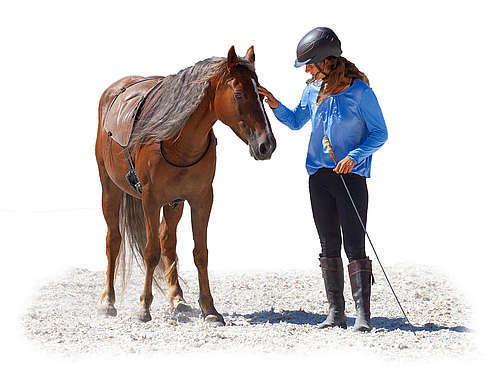 The handling class will show whether trainers can successfully load 'their' mustang into a trailer and whether they can saddle up with the lead rope losely attached. 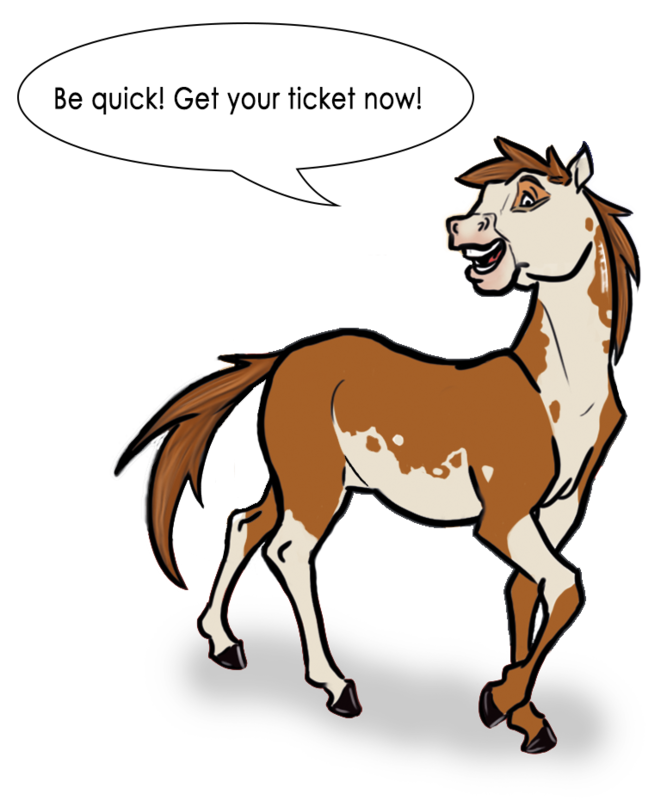 The trail part of the challenge invites you to judge the horses cool-headedness in every day situations. The horsemanship/dressage exercise will prove how reliable the horses are already under saddle. The final is an impressive freestyle exercise. The trainers shall know no limits and get creative. We are looking forward to top-notch performances! Important! 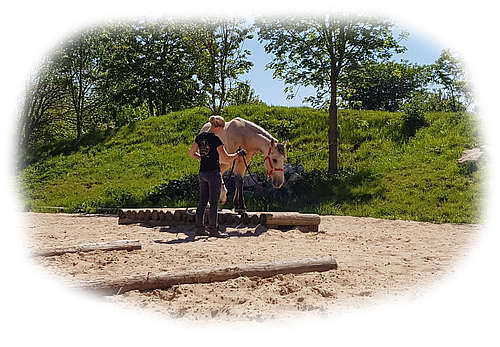 All exercises are subdivided into different levels of difficulty so that the trainers can choose the option most suited to 'their' mustang's training level. All trainers are allowed to dismount during the exercises in case the horse becomes insecure. Curious? Find further details, trainers and mustangs here. Are you in the mood for some rambling or maybe even for some hot deals at the fair? Well, then you are right at the MUSTANG MALL on the fair grounds of the MUSTANG MAKEOVER. More than 100 exhibitors present themselves at the MUSTANG MAKEOVER in Aachen and offer everything a horse enthusiast could wish for. Your shopping experience at the fair grounds! Are you in the mood for some rambling or maybe even for some hot deals at the fair? Well, then you are right at the MUSTANG MALL on the fair grounds of the MUSTANG MAKEOVER. More than 100 exhibitors present themselves at the MUSTANG MAKEOVER in Aachen and offer everything a horse enthusiast could wish for. 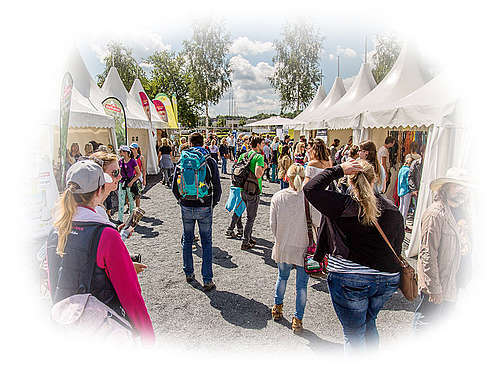 The selection of exhibitors also comprises insurances, saddlers, stable building solutions, paddock grids, care products and bedding options, as well as animal food, horse trailers and various therapeutic approaches.On Friday, the fair grounds will be open from 1-7 pm, on Saturday from 9 am - 8 pm and on Sunday from 8.30 am - 6 pm! Soon you will be able to find all exhibitors in the exhibition catalogue, in the MUSTANG MAKEOVER magazine and on the overvier banners. Our exhibitors cannot wait to meet to you! Find all information and soon the list of exhibitors here. Top trainers - top courses! On Saturday and Sunday you may learn from Lorenzo, Alizée Froment, Peter Kreinberg, Thomas Günther, Vivian Gabor, Luuk Teunissen, Sandra Schneider, Anke Recktenwald, Juan Vendrell, Walter Gegenschatz and many more. They reveal all their knowledge in about hourlong courses. Where can you become inspired by different trainers and their styles? Here, we will demonstrate practical solutions to problems you may have with your four-legged partner and you will get tips and new ideas for your training. Curious? Find all details, trainers and courses here. Use the knowledge of the experts! In our panel, independent experts inform you about important topics all around the horse - from head to hoof. 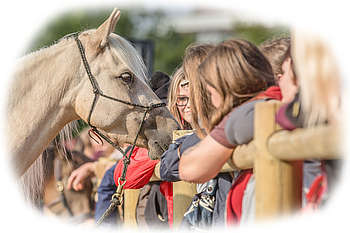 Whether it is equine health, training of horse and rider, equine husbandry or feeding, at the Makeover Experts you find interesting lectures about all topics and questions that concern your beloved equine. The MAKEOVER EXPERTS can be found at the press panel of the MUSTANG MAKEOVER. The exact programm will be revealed at a later point in time. Magic moments of an untold story await you!You and your bran friends' agenda for the MUSTANG MAKEOVER weekend is already well? Then you are probably still missing an activity for Saturday night! 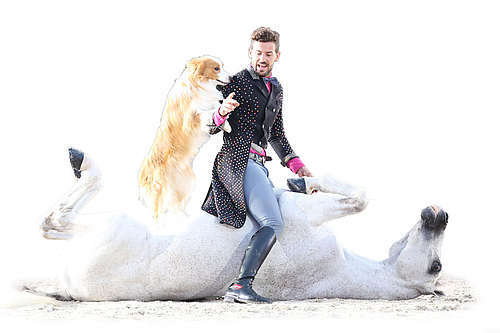 The evening show 'Magic Moments' awaits you with magical moments between the top horse show artists like LORENZO, Alizée Froment, Santi Serra, Anne Krüger and more with their horses. You will always pass the big Show Ring when visiting the MUSTANG MAKEOVER. Here, you will find an exciting and versatile program. 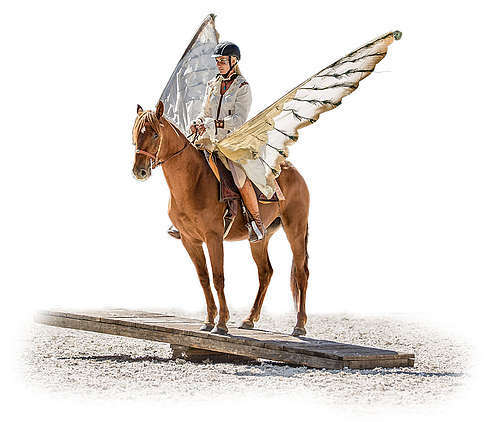 There will be wild mustangs, shining show horses, trainers of all riding styles and all kinds of celebrities. Soon you will be able to find the programm online. Overcome exciting obstacles together with your equine partner! Get super close to the trainers and event horses! In the MUSTANG VILLAGE you can meet all trainers and event horses, get an autograph and ask questions about the training of the mustang. Besides you can get to know American Mustang Germany: visit their Blackjack or Montana Breeze and get informed about the history of mustangs in the US. Last but not least, you find the MUSTANG MAKEOVER and American Mustang Germany tent in the MUSTANG VILLAGE. Here, you can find great event merchandise and all the important information about the auction, your bidder's number and consultation if you want to provide a home for one of those wild legends of America. The auction is an emotional rollercoaster for trainers and bidders but a great chance for many mustangs to get a new home! Each year, the magic of the mustangs sparks over and affects all visitors but also all participating trainers. In both the past two years, four trainers took 'their' mustangs home with them. Tears are unavoidable, not even renowned trainers like Bernd Hackl and Sandra Schneider are spared. The unique scenes of the auction have made the MUSTANG MAKEOVER an event of the heart. It touched horse enthusiasts worldwide. At the end of each auction, there are many happy mustang owners. The moment when the hammer falls is indescribable. The bidding starts at 7,500 Euro and can get as high as 20,000 Euro. Part of the proceeds of each mustang's price will be donated to projects that aid mustangs. 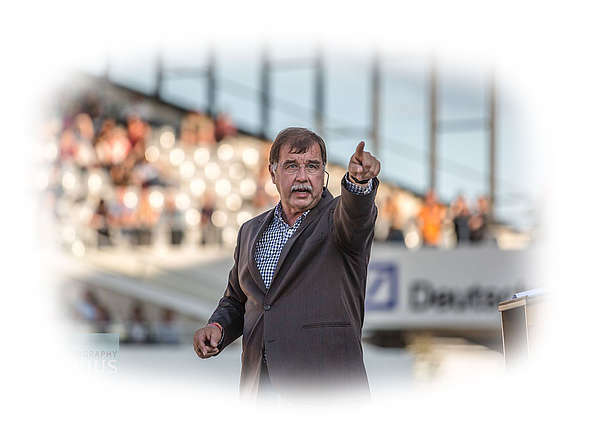 If you are interested in participating in the auction, please contact info@mustangmakeover.de and do not forget to register at the MUSTANG MAKEOVER tent before the auction starts. You enter the MUSTANG MAKEOVER premises via the main entrance (Albert-Servais-Allee) - there you will also find many parking spaces (probably 5.00 Euro/day - subject to change). Please enter "Krefelder Straße" as your destination in your navigation system. As soon as you have reached Krefelder Straße, please follow the signs to the public car parks. After arriving at Aachen main station, Lagerhausstraße, take one of the ASEAG bus lines 1, 11, 14, 21, 44, 46 to Aachen bus station ("Bushof Aachen"), then take the ASEAG bus line 51 to the stop "Sportpark Soers".